I am currently on leave from the University of Warwick. 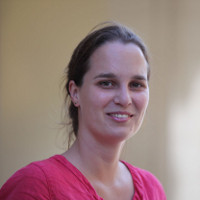 I joined PAIS in August 2011 and am now Associate Professor of International Political Economy. My research interests include the relationship between finance and development, financialisation and the politics of debt, alternative globalisations and the disciplinary parameters and spatial location of contemporary IPE. Substantively, my work to date has concentrated on both the theories and common senses that underpin financial policymaking, the question of how this leads to institutional change (in particular the expansion of capital markets and development of Islamic finance) and the socio-economic implications of these changes. My research has been grounded primarily in insights from the Southeast Asia region. From September 2018 to November 2020, I will focus on a new project that examines the growth of transnational Islamic economic flows and their governance. This research is funded by a Leverhulme Trust Research Fellowship. I am currently a senior associate member of the Oxford Centre for Islamic Studies. I am a founding editor of the pedagogic initiative I-PEEL: the International Political Economy of Everyday Life and a member (2018-2020) of the IPE Best Book Award Committee of the International Studies Association. Juanita Elias and Lena Rethel (eds.) (2016) The Everyday Political Economy of Southeast Asia, Cambridge: Cambridge University Press. Paperback in 2018. Andre Broome, Liam Clegg and Lena Rethel (eds.) (2015) Global Governance in Crisis, Abingdon: Routledge. Paperback in 2017. Paperback in 2017. 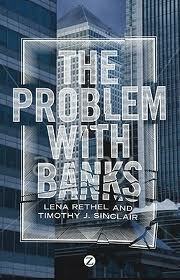 Lena Rethel and Timothy J. Sinclair (2012) The Problem with Banks, London: Zed Books - shortlisted for the 2013 IPEG Book Prize. Both hardback and paperback.